Are you a VIP *TOP FAN TTC subscriber on Facebook? The best bet is to check NOW as we’ve landed an allocation for the all-new Cube Dolphins Ocean Pollution Edition By Sank Toys EARLY before anyone else or on general sale. 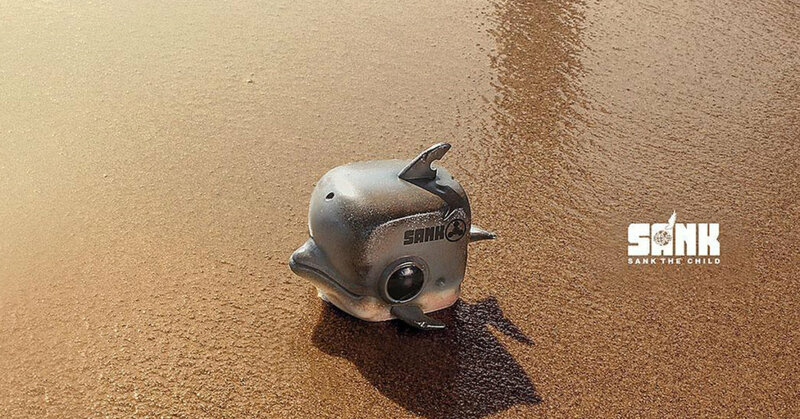 Cube Dolphins will join the Sank Toys “Cube Whales” in the oceans and still has the similar aesthetics we love and signature look, as well as the weathering that’s given to the Cube series and we, are grateful Sank Toys has allocated an early pre-order for The Toy Chronicle VIP *TOP FAN fans. First check via our Facebook page HERE https://www.facebook.com/thetoychronicle/ if you have the TOP FAN title and icon. Don’t worry if you don’t have it yet, simply be active by commenting, sharing liking and interacting with us via Facebook. Examples of our TOP FANS. If you have already qualified as a TOP FAN, email [email protected] with the subject “GET ME Cube Dolphins” with your PayPal email and shipping info. LOOK out for MORE exclusives coming soon for our TTC TOP FANS.